It is crazy how wretched he is defensively in the position. I am not a fan of him at CB, far too reckless and out of control but the lack of any defensive instinct when moved wide is eye popping. I would expect most CB's to at least be aware defensively when switched across, even if they would offer nothing going forward. He’s shite at left back always has been. Don’t know why we played him there. He doesnt play there for Argentina either.. Ajax LB Tagliafico is their LB. If you compare his CB performances to his LB performances his is a good cb but in reality he is a average cb who just isnt good for Manchester United but so are our other centre backs. Shocking performance. Mourinho should be suitably embarrassed playing him left-back. He should be brought on in emergency situations only(and maybe not even then). He's been terrible since his return from injury. The only time he looked decent was before his injury. Since then, diabolical. 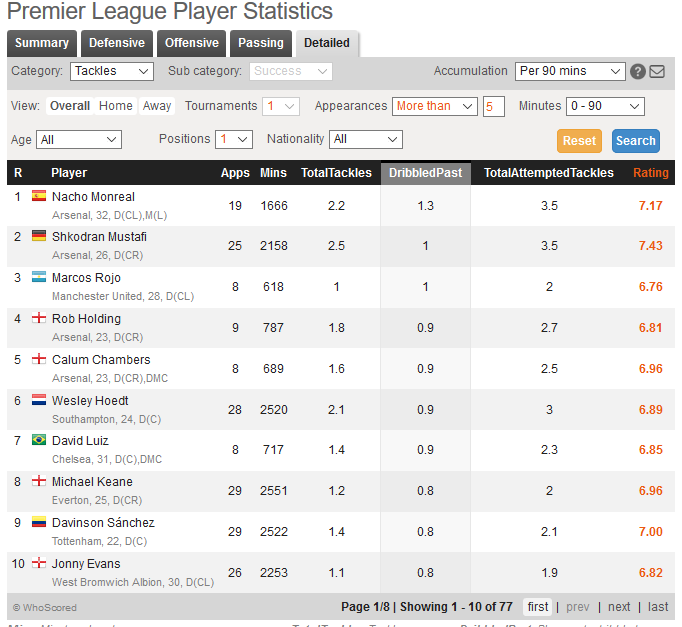 But Jose compounds the issue by playing him LB. Just why? It's ridiculous management. The only reason I thought he played was to just get more minutes under his belt. The whole team selection felt like that and it's like we weren't anticipating any mistakes from Juve. He is just a generic copy of David Luiz, and lets be honest thats probably the worst player you want to be a bad copy of as a defender. Going to ignore the defensive aspect as I assume everyone agrees he lacks the basics, and still I swear people are so blinded sometimes by this guy as he makes many bad decisions with the ball every game he plays, which often just breaks our play up. Ponders on the ball. People still congratulate him on the beautiful pass to build up fancy play Sure. Him and Ashley young at LB is like hoofball 3000, anyone can get lucky with a pass when they try as much as they do. Sick of him and to be honest he is getting worse. Can't possibly have been more than 10 good games since 2014. Another average player that we pay a small fortune to stink up the place week in week out. Needs showing the door along with Jones in January. Baffling to play him at LB given his history there. Decision majorly backfired on Jose there. But if he is trying to rest up Shaw/Young - we literally have such little cover that Rojo is considered an option. Rojo hasn't really worked, he's no LB and an average CB. Guy who historically plays poorly at left back and is trying to work up match fitness in poor left back performance shocker. I think hes had one good game at Left Back, and that was under LVG in a 442 diamond vs QPR. Think it was his debut or one of his first few games anyway. Should have been sold in the summer,along with Darmian. Jones could have gone next summer. The one and only good game I can remember him having at lb was against City in the lvg era . Forgetting Marcos Rojo there I've also noticed Robbie Keane replies to nearly every footballers Instagram posts. It's almost like he's stalking out every top-level footballer. Rojo gained too much weight (not lukaku weight but muscles) since he joined us . He was like 75 kg when he played great games at left back and now is like 10 kg heavier and lost pace and acceleration ... People who say he can't play as left back obviously never watched him play on that position before... His crosing is far better than his tackling and is actually very useful and could be great competiton for Shaw if we forced him to play there. As CB he'll never be top quality so besides him earning big money I don't really know why is he still at the club... However he's still better than Bailly at CB. His recovery will last longer than they thought. What's the point of keeping him? I really don't know. Wouldn't get rid of him now since we need some depth at CB (even though he's always injured) but he should really be shipped off in the summer. With Tuanzebe likely brought back in and a top CB signing hopefully being made, there'd be 7 CBs for 2 positions (Lindelof, Smalling, Jones, Bailly, Rojo, Tuanzebe, new CB). Rojo should be one of the first few that'll go along with another player (Jones?). Yep, we should really be after one CB that could replace two players, him and Jones. They are really easily replacable. We don't need to replace Rojo since he's never really playing. Just get rid. Now. What is his injury? Are we really sure that is what's keeping him out? There were reports that we were looking to offload him in the summer. I suspect that may be in the works in this window and that is why he has been missing in action. I think he has already had more days off than Jones had in first 4-5 years. I had totally forgot about him. Did he sign a new contract? Did that really happen? Nowhere near the match day squad, and that’s what matters. Wasn't there a time when Rojo + Jones was our best centreback combination? Hope the guy recovers from his injury, there's a bit of craziness to him that I always liked for some reason. Time to move on though. Is he still in our club? Somebody please take the number 5 shirt from this guy. Never deserved to take Rio's number. Take his number and give it to Lindelof. Tbf he switched to no.16 this season, but that's hard to notice for obvious reasons. I'd genuinely forgotten that we had him on our books. 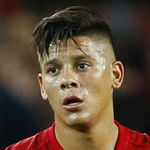 Marcos Rojo is now United's only known absentee, with an unspecified knock having kept the versatile Argentine defender out of action since before the festive period. Rojo's last taste of action came under Jose Mourinho in mid-December, when United missed out on the chance to top Champions League Group H after being beaten 2-1 by La Liga outfit Valencia at the Mestalla. The 28-year-old struggled to contain Cristiano Piccini on that occasion and was promptly replaced by Ashley Young at the interval. Before that night, Rojo had started just one match since the World Cup - the 2-2 draw with Arsenal in which he scored an own goal - and made a solitary substitute appearance as a replacement for Smalling in the 4-1 thumping of Fulham at Old Trafford. Providing an update on Rojo before the win over Leicester, Solskjaer said: "Marcos is outside running now so I think he can see the light at the end of the tunnel. "I think he might join in bits and bobs in training because that will help him mentally." Physioroom has him back on Feb 24th. #rojones What a time to be alive. Rio and Vidic should watch and learn.